Local regulations may be in place in your location. 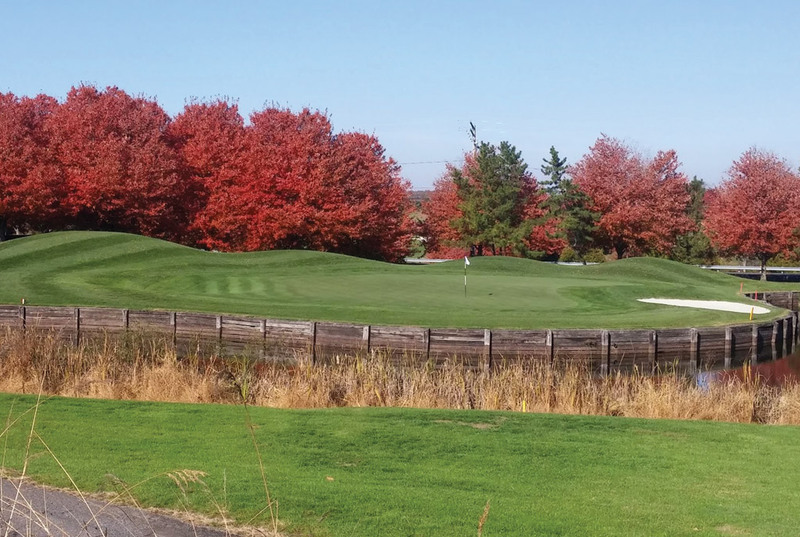 Early engagement among developers, designers, local community groups, and permitting agencies is essential to designing and constructing a golf maintenance and storage facility that minimizes environmental impact and meets the needs of the approval process. Additionally, local governments may regulate and dictate the required code and methods for backflow prevention. The storage area must be secured or locked to prevent unauthorized access. Pesticides must be stored in a separate building or, at a minimum, must be separated by a physical barrier from living and working areas and from food, feed, fertilizer, seed, and safety equipment. A warning sign approved by MDA must be placed on the exterior of the storage area. Pesticides must be stored in a dry, ventilated area. The pesticide storage area must be kept clean. A supply of absorbent material sufficient enough to absorb a spill equivalent to the capacity of the largest container in storage must be kept in the storage area. The storage area must contain only pesticide containers that are properly labeled and are free of leaks. The storage area must have an appropriate fire extinguisher available. Pesticides must be stored in an area located at least 50 feet from any water well or stored in secondary containment approved by MDA. In Maryland, all underground fuel storage tanks and 10,000 gallon or larger above-ground storage tanks are regulated by MDE. Local laws and regulations related to the storage of fuel may vary. Maryland’s regulations establish a much lower limit on the maximum amount of waste than federal regulations for qualifying as a “small quantity generator” of hazardous waste. In Maryland, as little as 100 kilograms of used solvents for disposal trigger state reporting requirements. Pesticides that have been mixed so they cannot be legally applied to a site in accordance with the label must be disposed of as a waste. Depending on the materials involved, they may be classified as hazardous waste. In the event of a spill, contact the MDE Emergency Response Division (866-633-4686) and the National Response Center (800-424-8802) to determine if the amount constitutes a reportable quantity.